Saman Rathnapriya a representative of the Purawesi Balaya Organization has arrived at TID , to give a statement. 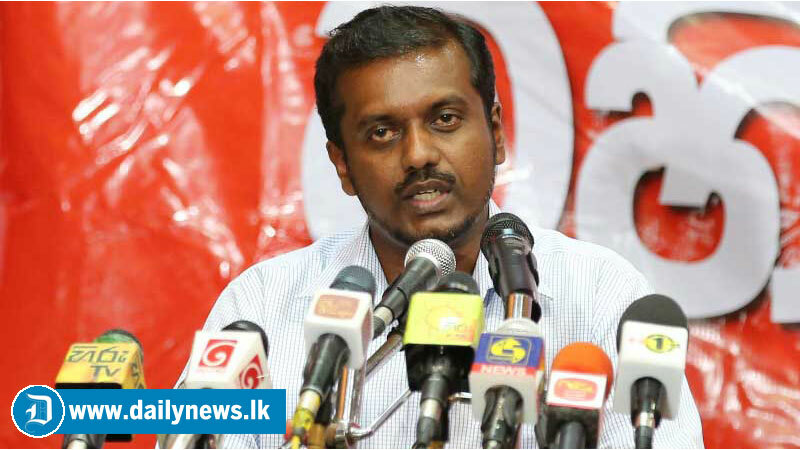 The Police is investigating over a statement made by Saman Rathnapriya. Issuing a communique the Police headquarters stated that investigations were launched based on a complaint lodged by the general secretary of the Pivithuru Hela Urumaya Upul Nishantha. The complaint states that Saman Rathnapriya had made a statement in a manner that will cause a conflict within the country and threaten national security. Propaganda Secretary of the Pivithuru Hela Urumaya Attorney-at-Law Thushara Dissanayake noted that they question if Saman Rathnapriya’s statement is part of the attempted assassination of President Sirisena. The Complaint made by Upul Nishantha states that the statement was made by Saman Rathnapriya on the 6th of this month. IGP Pujith Jayasundara handed over the complaint to the special investigations unit at the police headquarters. The Police media spokesperson said that a lengthy statement was recorded from the complainant. He added that facts were presented to the Colombo Magistrates court under the International Covenant on Civil and Political Rights and the penal code.